Each level of the Centre can be rented for a minimum of two hours or the entire day. 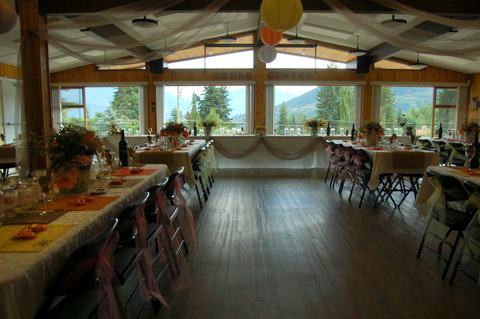 The Centre is air conditioned both up and down so ideal for your summer wedding. In addition our golf course, pickleball and bocco courts can also be rented for social, business or family functions. Association members can rent our indoor or outdoor facilities for a reduced rate of 25%, if a member for 5 years or more, and 10% if a member for 6 months to 5 years. Members also have free use of the Community Centre for their memorial service. Rent our hall for your seminars or regular meetings. 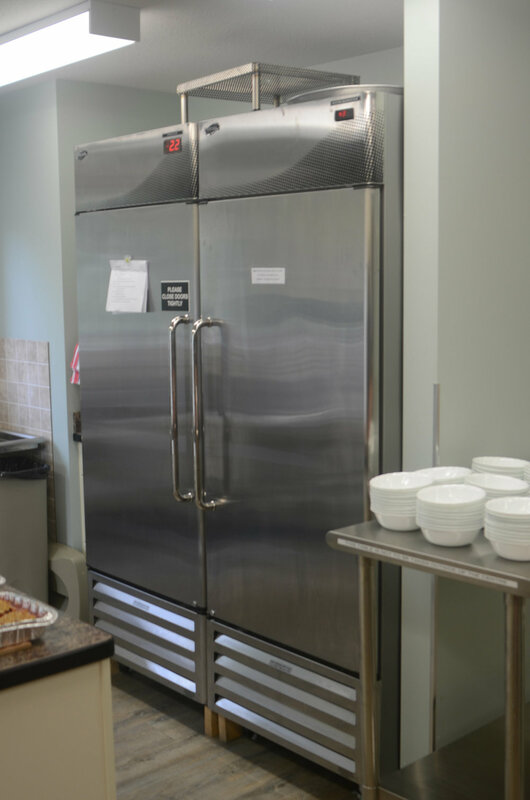 The cost is only $30 per hour (minimum of for two hours) and you can serve coffee and cookies if you rent our Bunn coffee machines for an additional $20. For another $25 you can advertise your event on our Electronic Sign. For more information see Advertising Opportunities. Our facilities are ideal for birthday parties, kids or those who want to celebrate significant milestones in their lives. Most of us don’t have room to accommodate everyone they want to include in their homes. If you want to serve appetizers or a simple meal, rent our dishes and cutlery, including the coffee machine for $100. If you want to get really fancy you can hire a caterer, order deli trays from the local Grocer, pick up Chinese food or bring in a food truck to look after most of the cooking. You’ll have plenty of room and the place to yourself and it will be more reasonable than everyone going out for dinner. 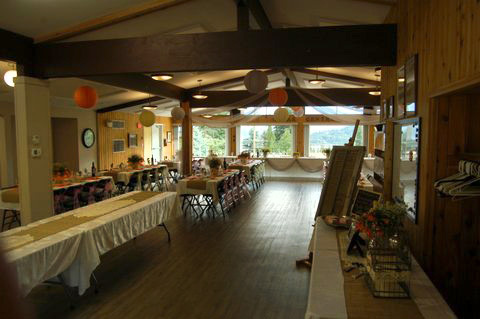 The upper hall is perfect for wedding receptions. We have an all-inclusive wedding package for under $1000. 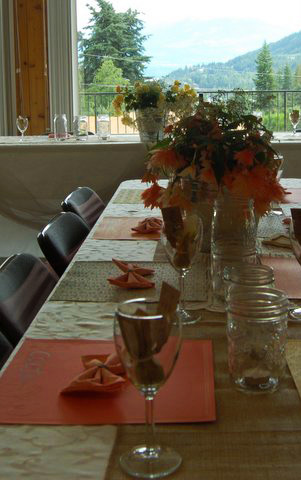 Or you can just rent what you need including tablecloths, wine and bar glasses, barbecue(s), projector and the sound system. For a complete price breakdown please call Laurie @ 675-5556. This would be a great place for a family reunion as you could also rent the golf course, pickleball courts or bocce courts for a few hours or the entire afternoon and keep everyone entertained both young and old. It also solves the problem of what to do with your guests between the wedding service and the reception. You can even have your photos taken on our lovely treed golf course. You can rent the golf course for $75 per hour for a minimum of two hours, the four pickleball courts for $75 for two hours, and the two bocce courts for $40 for two hours. Contact us by completing the information below and submitting the form. Thank you for your email. Our office hours are Tuesdays and Thursday’s from 1:00 till 3:00 pm. One of our volunteers will get back to you at that time. Or if you need an answer quickly please call Laurie our Rental Co-ordinator at 250-675-5556.